Being a 'fake' blonde comes with a price. The constant up-keep is enough to make anyone reach for the brunette box dye but I love being blonde and I'm willing to put in the effort (and extra haircare steps) that comes with being a platinum-wannabe. I get people asking me all the time what products I use on my hair to keep my blonde as bright and brass-less as it is and I always have one simple answer - Touch Of Silver. 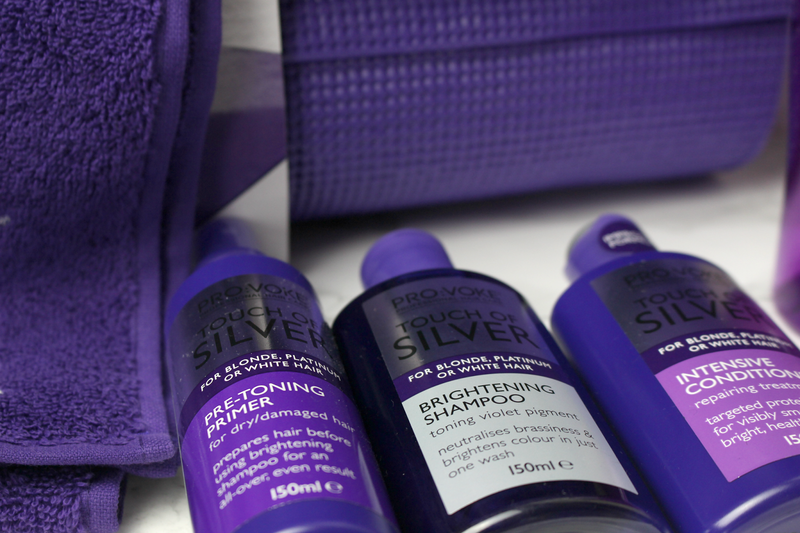 I have used Touch Of Silver products for years and years - the violet pigmented range is just the perfect addition to my haircare routine to ensure my hair stays as blonde, bright and healthy looking as possible. The lovely guys at Provoke recently sent me the perfect little bundle to make sure I'm starting out my 2016 right and not just when it comes to my hair.... but my body too. Along with some of my haircare favourites (we'll get to that part in a minute) Provoke have sent me an amazing collection of fitness bits and bobs to make sure I'm totally set for the world of fitness - it's all about toning and not just my bob! I think you've probably all seen my social media posts over the last couple of months about loosing weight, exercising, feeling better, blah blah blah. Well... before Christmas I was so proud of myself - I was doing so well with my new diet, avoiding everything 'bad' and eating the cleanest I probably ever had.... that was until Christmas came and since then I have been so up and down with my eating I've got no idea where I am with it all and well.... I pretty much feel PANTS once again. *hangs head in shame*. I can't wait to start some exercise classes over the next month or so and get back to that eating routine that I was loving so much at the end of last year - I felt so much better on the inside and out and I'm striving to get back to that again as I was so happy! 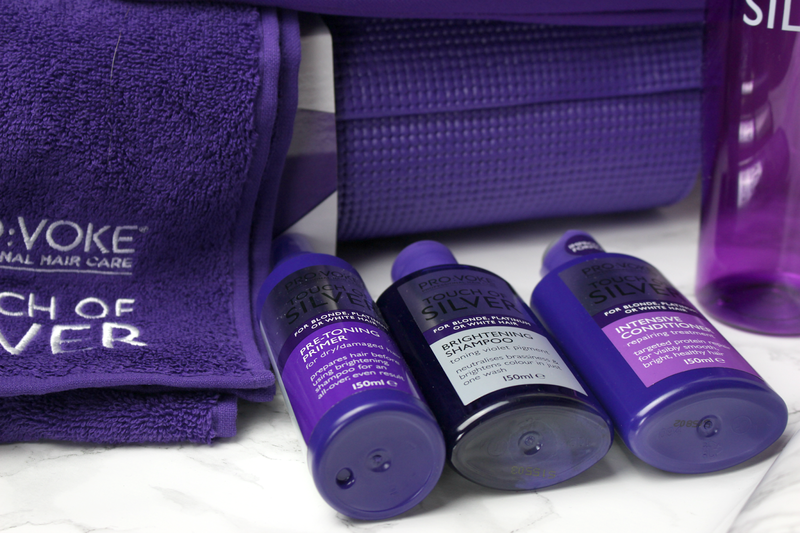 It's time to tone ... plus I seriously want to try out some yoga with my new snazzy purple mat. (With festival season fast approaching and the thought of the hen night I have coming up where a bikini is pretty much a given I seriously need some #help!) - Bring it on. Two of these products have been in my haircare stash for months and months (probably years) on end and I've been through bottle after bottle after bottle. Those are the shampoo and the intensive conditioner. 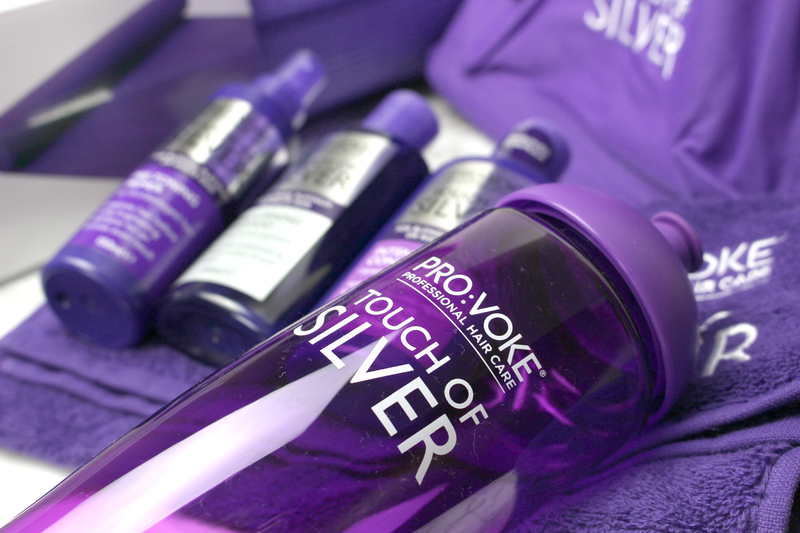 The shampoo is the classic Provoke product and most popular when it comes to the violet pigment range. This purple shampoo is the key to keeping my hair BLONDE, because I've just had my hair bleached I tend to just leave it on for a few minutes a couple of times a week and it works a treat. As my hair colour fades over the next 8-10 weeks though I'll start to leave it on for a little longer each time! The intensive conditioner is just the BEST. I cannot recommend it enough. The smell is divine and this leaves my hair feeling amazing - so soft and fresh, which, when you have a head full of bleach, is a struggle! If you're a blondey nd want tot treat yourself to something new - this is the product to try. The other product featured is the pre-toning primer. This little monkey creates the perfect foundation for even toning results before using the brightening shampoo! This three step routine is something I do normally once or twice a week and it seriously helps to keep my hair how it is, my heart always sinks when my hair colour becomes dull! Now.... want to know the best bit? This stuff is AFFORDABLE. All the products are under £5! If you bleach your hair or are thinking about going blonde - THESE are the products to stock up on - tone,tone,tone. oh i love this brand!